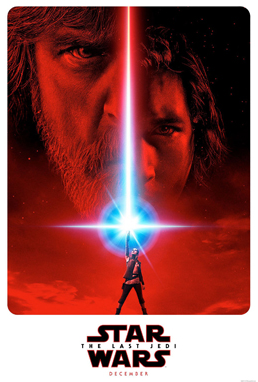 On April 14 an official trailer for the new Star Wars Film, The Last Jedi, was released. Produced by Lucasfilm, this is the second movie in the new trilogy following The Force Awakens (released in 2015). The movies follow the new star of the series, Rey, played by Daisy Ridley, as she discovers the world we all know as the Star Wars world. Although the trailer did not show very much, there were multiple quick shots, showing different glances of a mountain, and hands dragging across stones. Fight shots and crashing ships. The two-minute long video shows so much, and yet, so little, keeping the movie storyline unrevealed until later. The movie will be out into theaters December 15, and even though the trailer showed so little, Star Wars fans are ecstatic for the movie to be released.